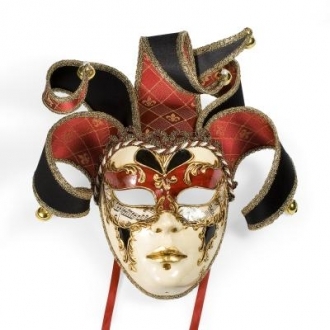 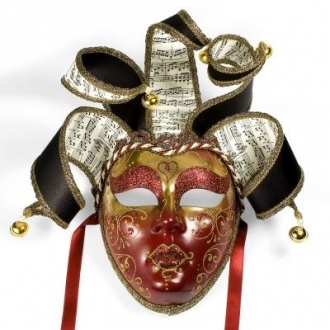 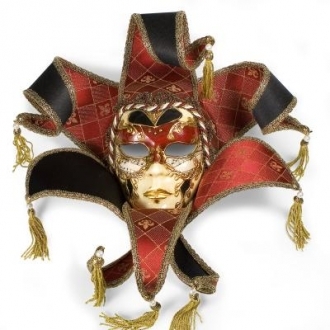 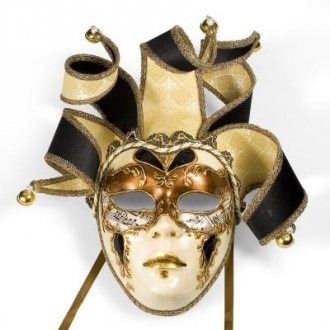 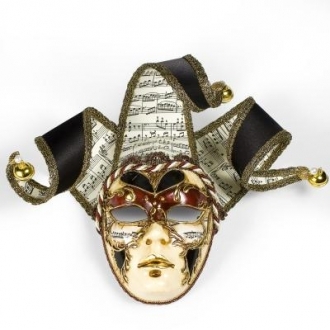 This Italian made mask is a unique piece. 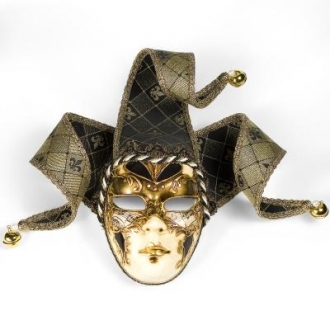 Each mask is handmade in Italy and hand painted by master Italian artisans. 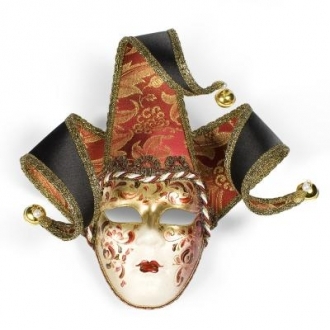 Great to have as decor in your home. 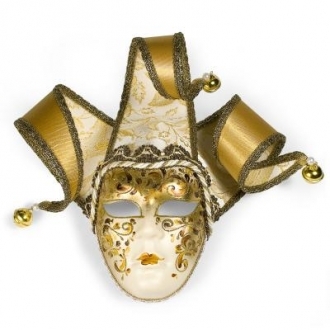 Any guest will be intrigued by this exceptional item. 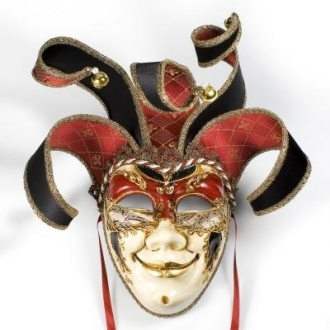 Each mask is made with great quality sure to last you years to come.